The PTA Board (board@winnonaparkpta.org) is available to answer any questions you may have about events and opportunities to get involved. And we are excited to welcome back more than 300 PTA members who support our efforts through volunteering and fundraising. We believe that the best way to enhance the educational experience for all of our students is to put our energy into supporting our teachers and Expeditionary Learning. We encourage all families to join the PTA, so we may continue to achieve this success. The Read-a-Thon takes place in November after the Book Fair, and generates much enthusiasm around books and reading as well as raising money to supply our libraries. Holiday Tree Sale/Jingle Jog in December is a “jog-a-thon” style fun run for kids and adults followed by the tree sale, offering Frazier Firs, freshly cut from a farm in NC. Spring Auction is planned for March/April, and offers an opportunity for parents to enjoy a night out while connecting with friends and bidding on amazing silent and live auction items. Through the support of our families, we continue to achieve our mission to enhance and enable the experience of all students at Winnona Park. Our community – staff, parents, and students working together – is why we are consistently ranked one of the top elementary schools in the state. By joining the PTA, you can extend and support our community by giving your time and effort. There are many opportunities to get involved throughout the year; room parents, event chairs, field trip chaperones, making meals, supplying materials, attending events and building community at WPES! Over the next few weeks, we look forward to connecting with you. At these events, you will have the opportunity to join the PTA and volunteer for various initiatives during the school year. 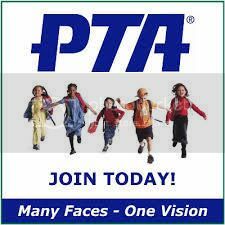 Join the PTA online now. Thank you for your support and let’s make this a great year at Winnona Park!